The unit on the right hand side is original to the building. 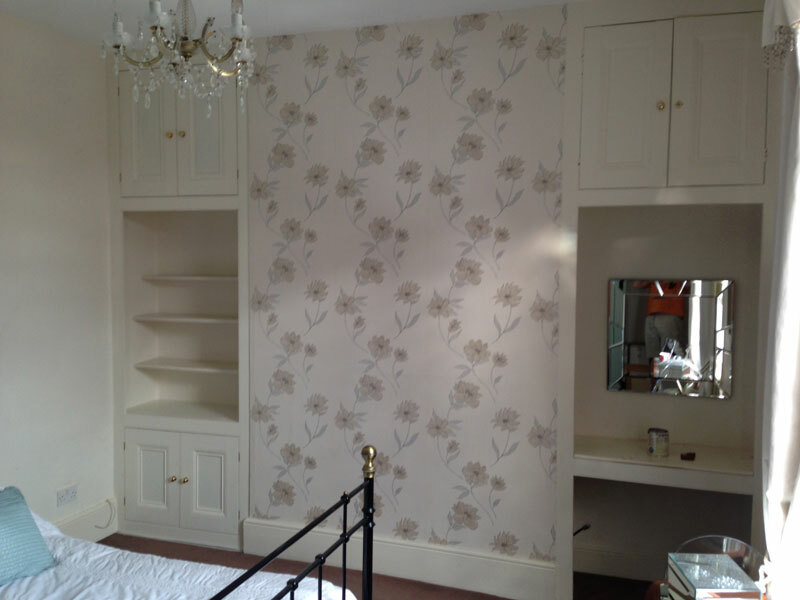 My brief was to make fitted cupboards and shelving on the left hand side. Measurements and door details were taken from the original to insure proportions were correct. The unit was finished with two full height capping rails scribed to the walls.